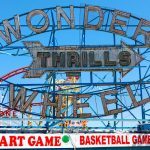 The Wonder Wheel was built between 1918 and 1920 by the Eccentric Ferris Wheel company using 100 percent Bethlehem Steel forged right on the premises in Coney Island. 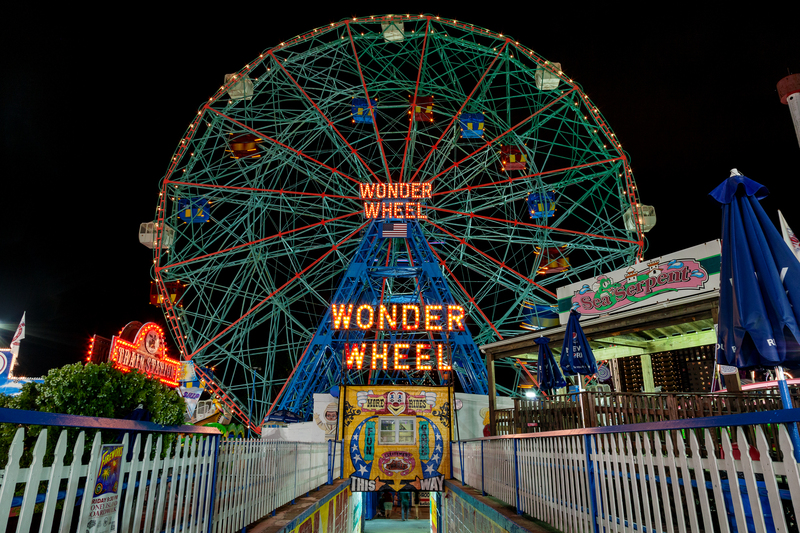 The Wonder Wheel’s inventor, Charles Hermann, claimed the ride combined the features of a traditional Ferris Wheel (with a massive rotating wheel held together only by a network of thin spokes, which was originally built by George Ferris for the Chicago World’s Fair of 1893), with a slow-moving scenic railway, and a flat-bottomed boat ride known as “Chute-the-Chutes.” Charles Hermann called his new invention ”Dip-the-Dip” and it opened to the public on Memorial Day in 1920. 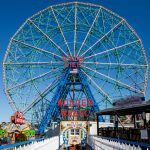 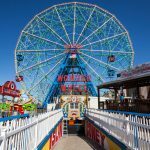 The Wonder Wheel stands 150 feet tall, has a diameter of 140 feet, and holds 144 people at once in its 24 fully enclosed cars, each seating six passengers. 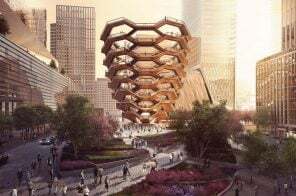 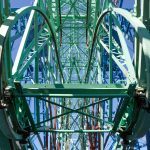 The ride is over 200 tons and its unusual design incorporates sections of curved tracks connecting an outer wheel and a smaller inner wheel. 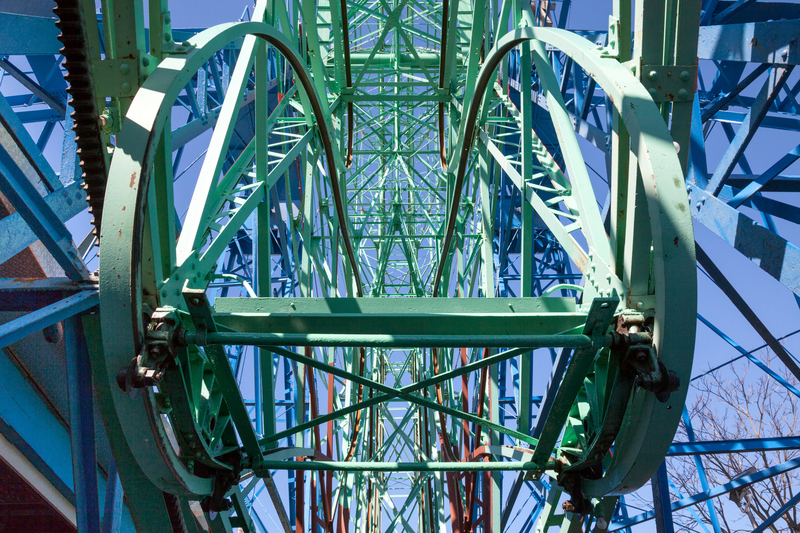 When the wheel revolves, the tracks incline and the 16 swinging cars roll back and forth between the two wheels. 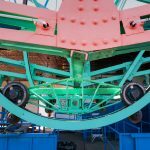 There are also eight stationary cars, which are fixed to the rim of the outer wheel. 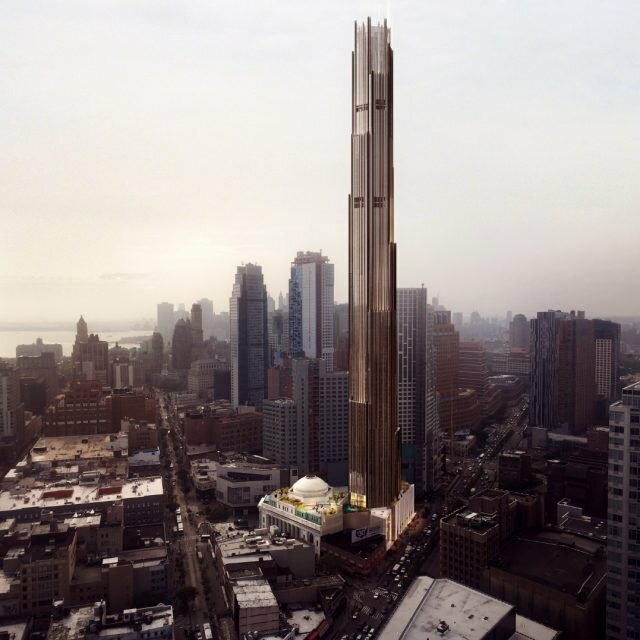 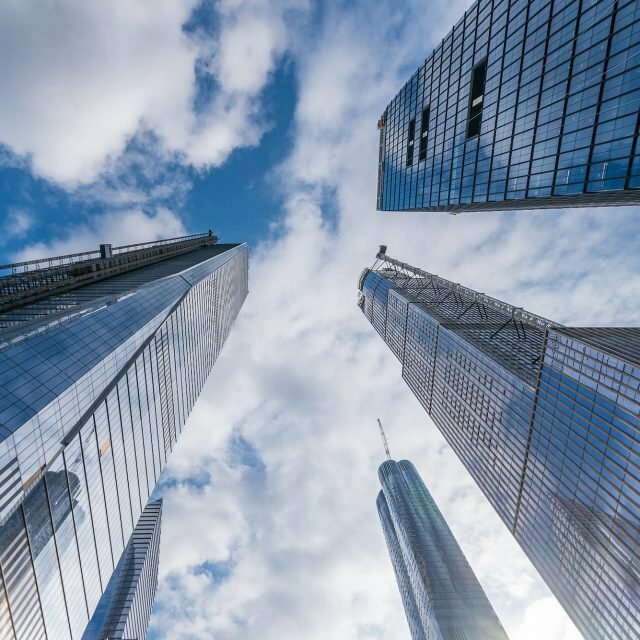 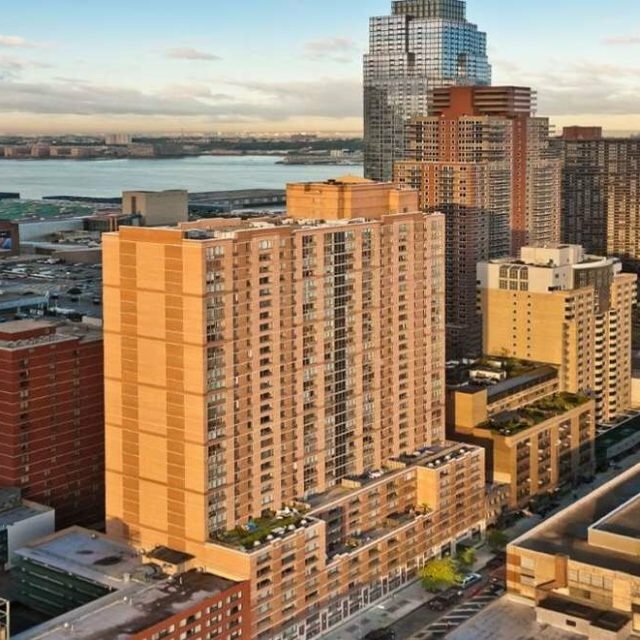 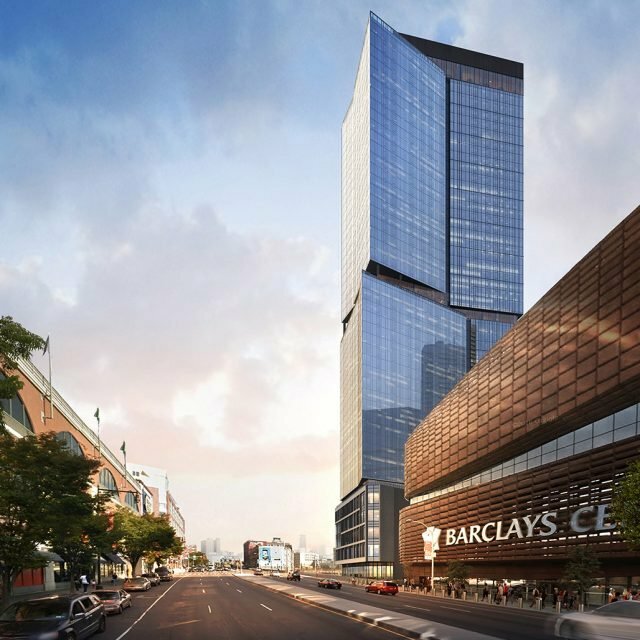 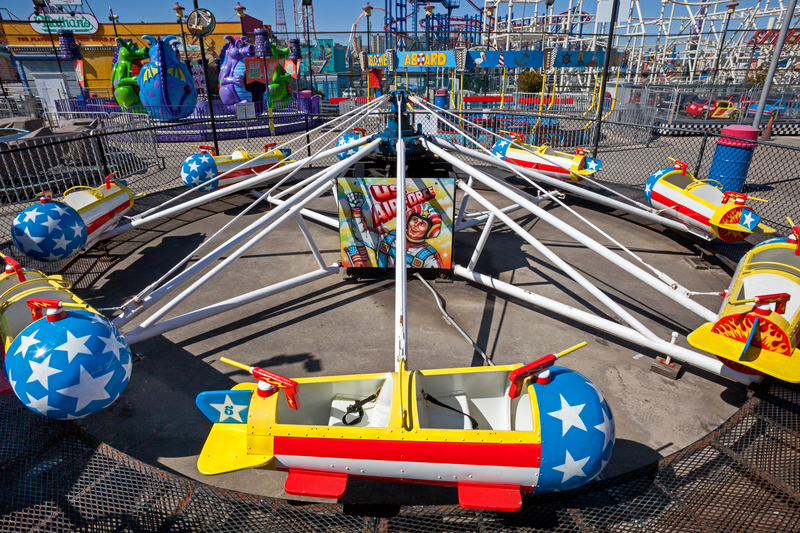 Not for those afraid of heights, all of the cars give riders a panoramic view of the Atlantic Ocean, the Jersey Shore, and the New York City skyline. 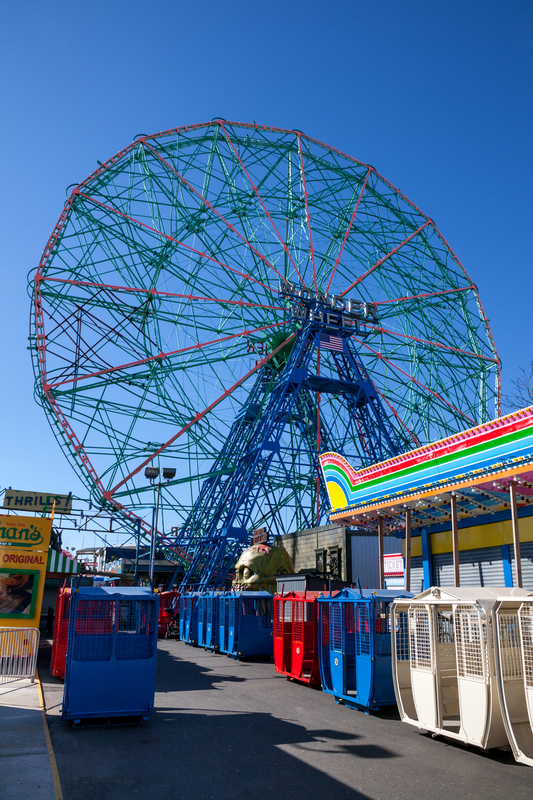 The Wonder Wheel is operated today by Denos Vourderis Place as part of Deno’s Wonder Wheel Amusement Park located on the boardwalk. 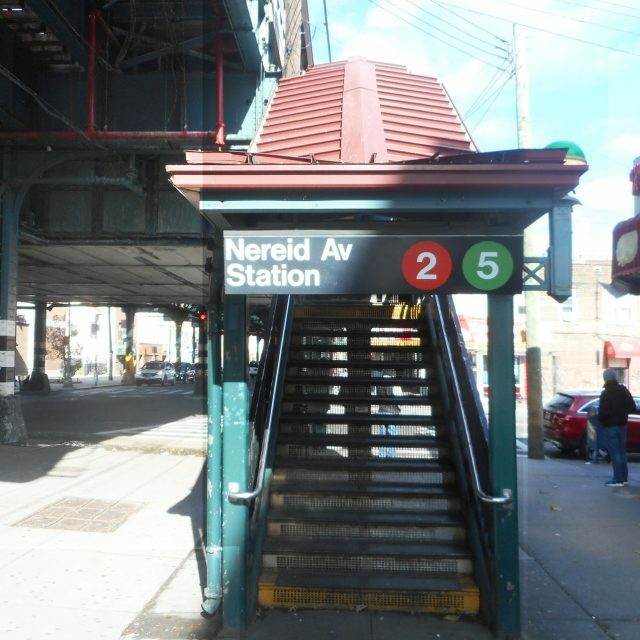 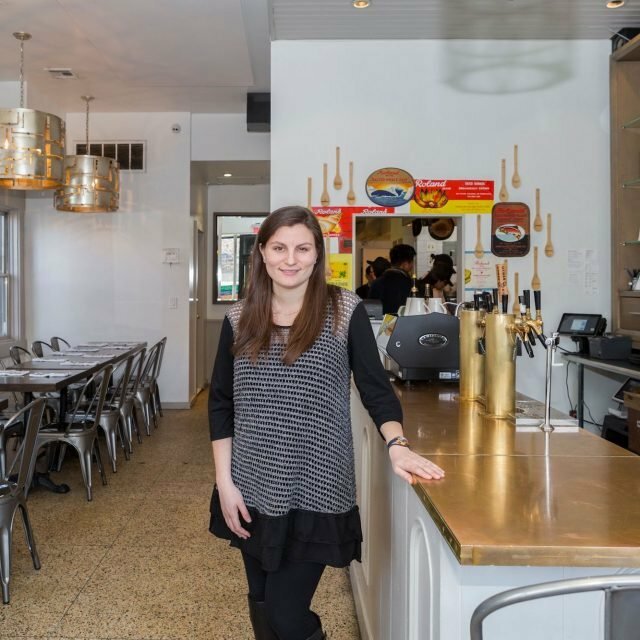 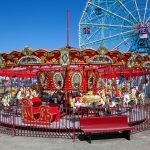 Greek immigrant Constantinos “Deno” Vourderis, began operating a Boardwalk restaurant in the 1960s and helped manage Ward’s, a kiddie amusement park on Coney Island. 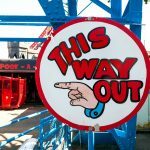 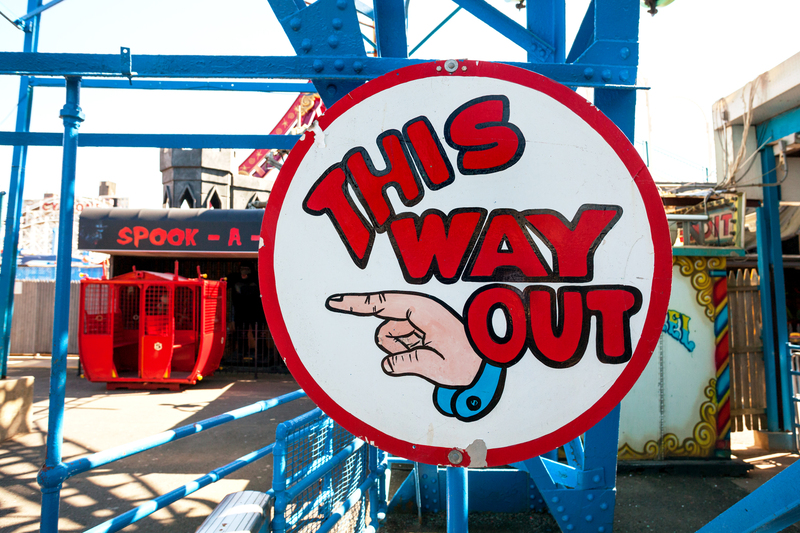 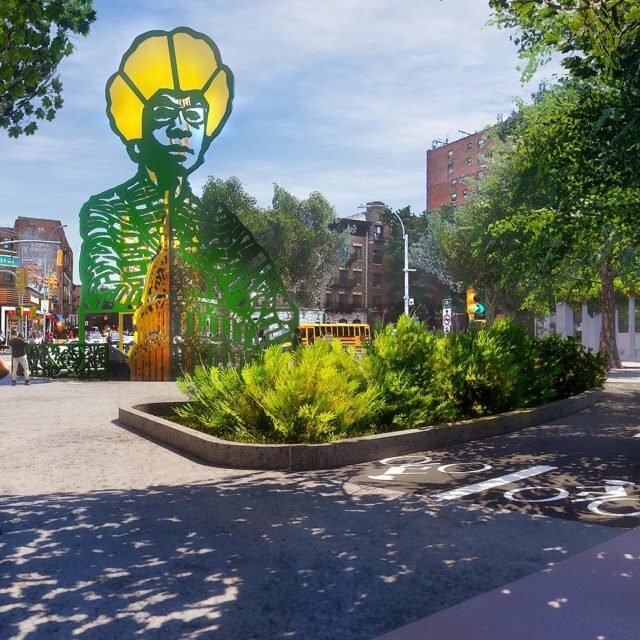 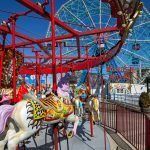 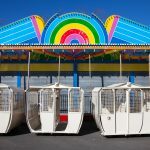 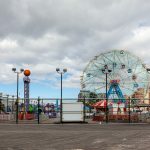 In 1981, when Coney Island was undergoing a period of decline, Deno and his wife Lula were offered the opportunity to purchase the family amusement park. 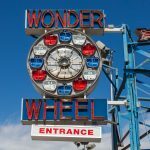 When the Wonder Wheel itself became available for purchase in 1983 from the original owner/operators, the Garms family, Deno was entrusted to maintain its brilliance. 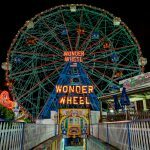 On June 7, 1983, Mr. Vourderis purchased the Wonder Wheel for $250,000, and from that day forward, it became known as Deno’s Wonder Wheel. 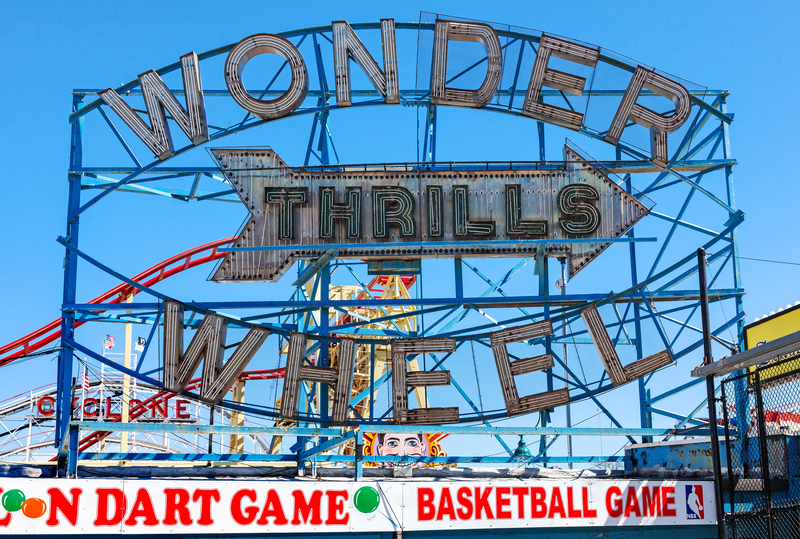 The entire Vourderis family, including sons Steve and Dennis, worked together to restore the ride to pristine condition and made it the centerpiece of the Deno’s Wonder Wheel Amusement and Kiddie Park. 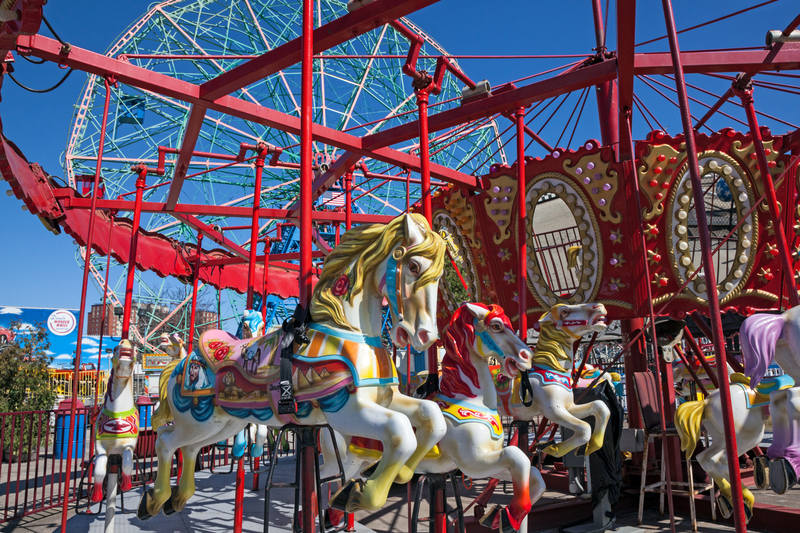 My father always loved taking the family to Coney Island and seeing the Boardwalk and Wonder Wheel. 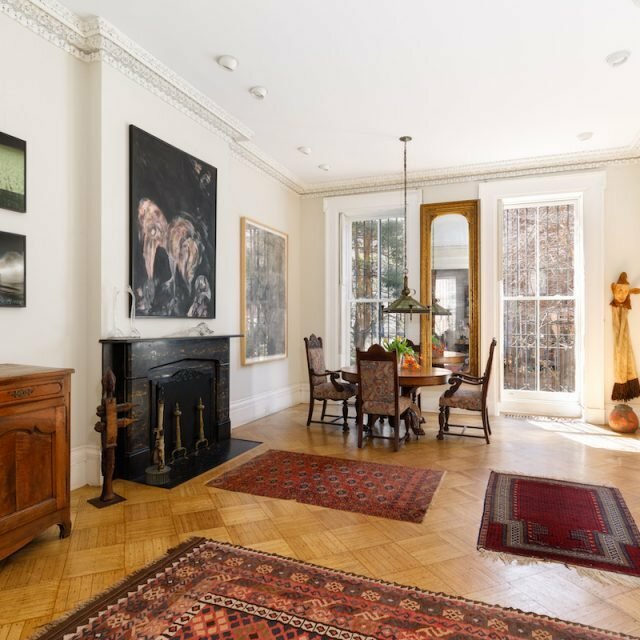 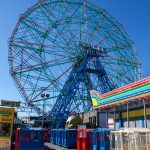 He often told my mother Lula that one day he would buy the Wonder Wheel for her as a wedding present, a ring so big that everyone in the world would see how much he loved her, a ring that would never be lost. 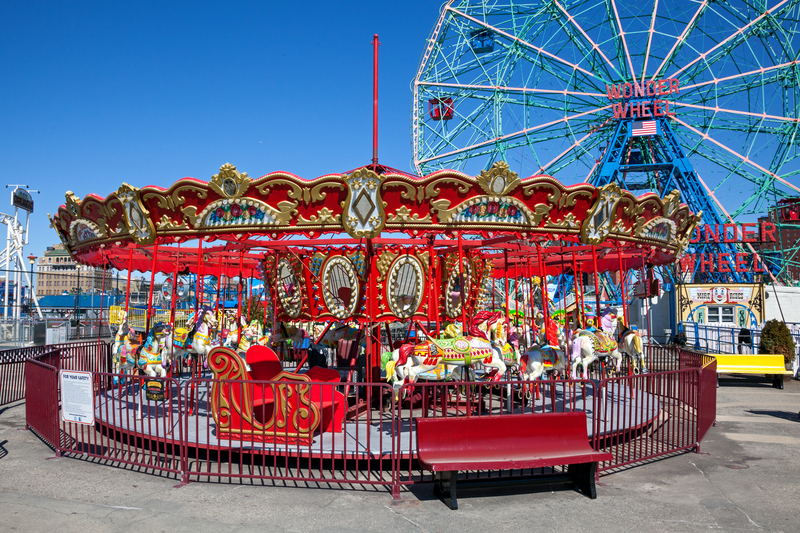 They married in 1947 and during the 1960s my father operated a Boardwalk restaurant and managed a Coney Island kiddie park, which he eventually purchased in 1981. 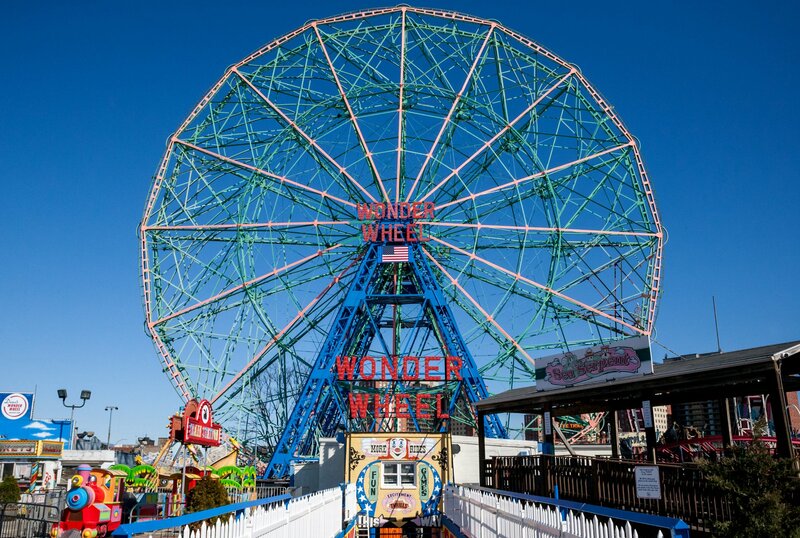 When the ‪Wonder Wheel was put up for sale in 1983, there were several interested buyers with higher offers, but the Garms family decided to sell it to my father because they knew that they could trust him to personally maintain its grandeur and brilliance. 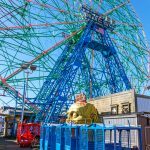 Six years later, the ‪Wonder Wheel itself was landmarked in 1989 by the City Of New York. 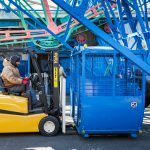 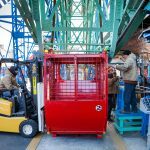 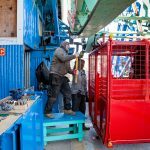 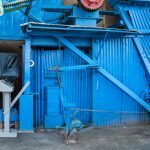 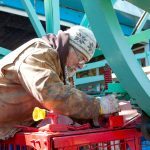 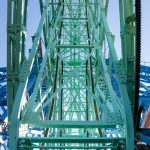 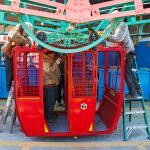 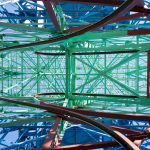 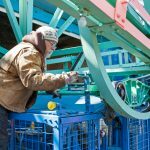 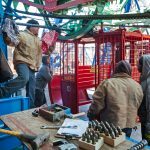 The Wonder Wheel has maintained a perfect safety record for its entire history and every year during the winter season, the 400,000-pound ride is overhauled and painted to protect it from the elements of weather and wear and tear. 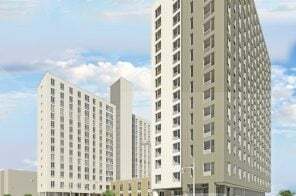 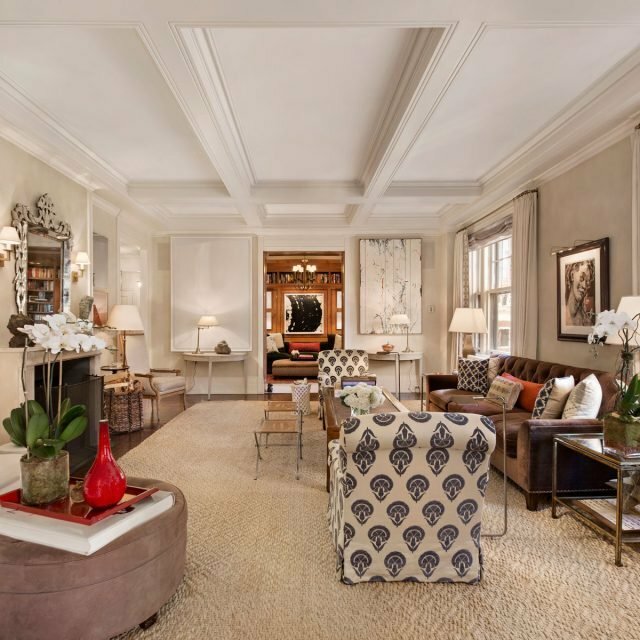 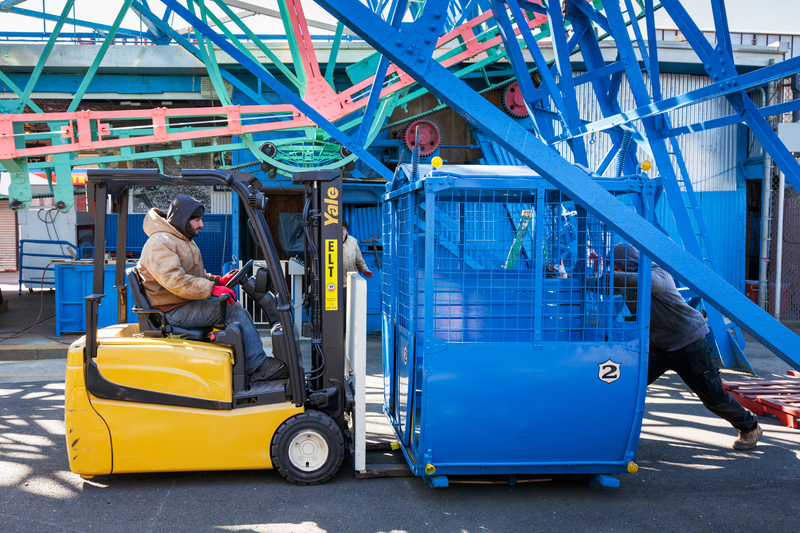 It definitely is all because of the way we meticulously maintain and operate it. 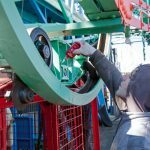 The Wheel itself is only operated by family members who have been trained in its mechanics. 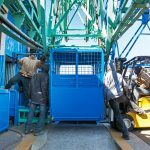 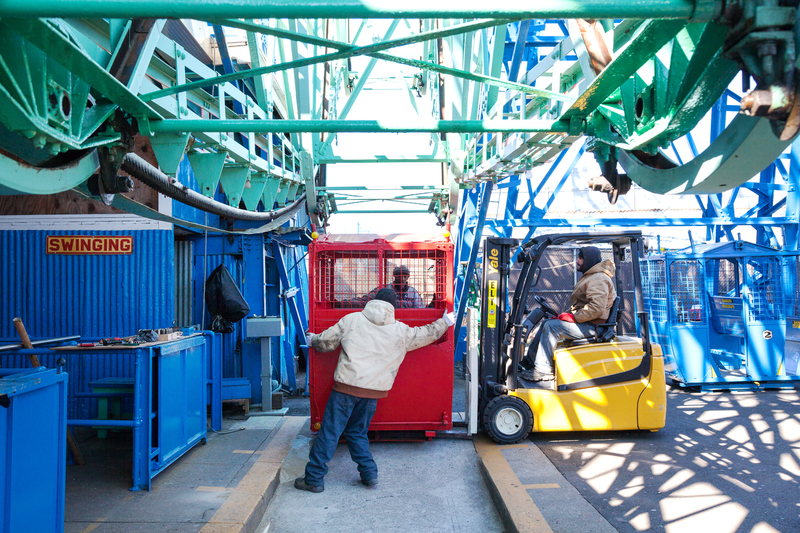 We also take great care in loading and unloading of all the passengers who ride the Wonder Wheel. 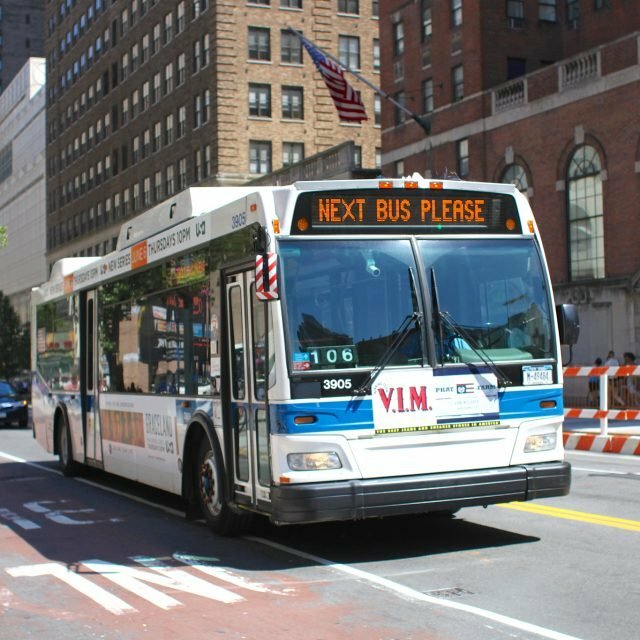 The only time we ever had to shut it down was during the great NYC blackout on July 13, 1977 when the entire northeast lost power. 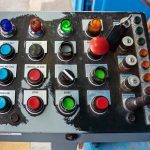 So the stoppage was not due to a mechanical problem but due to a power outage. 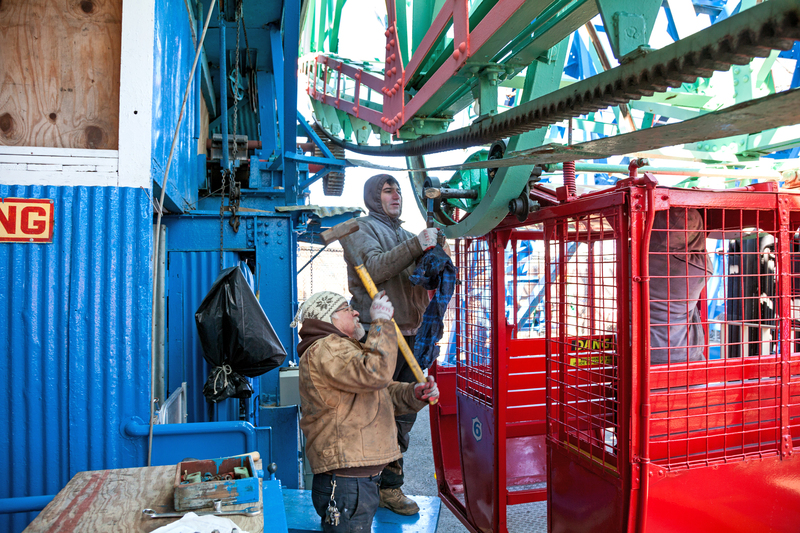 Riders were all safely brought down by the owners who hand-cranked the Wheel. 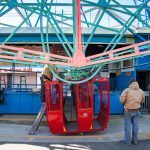 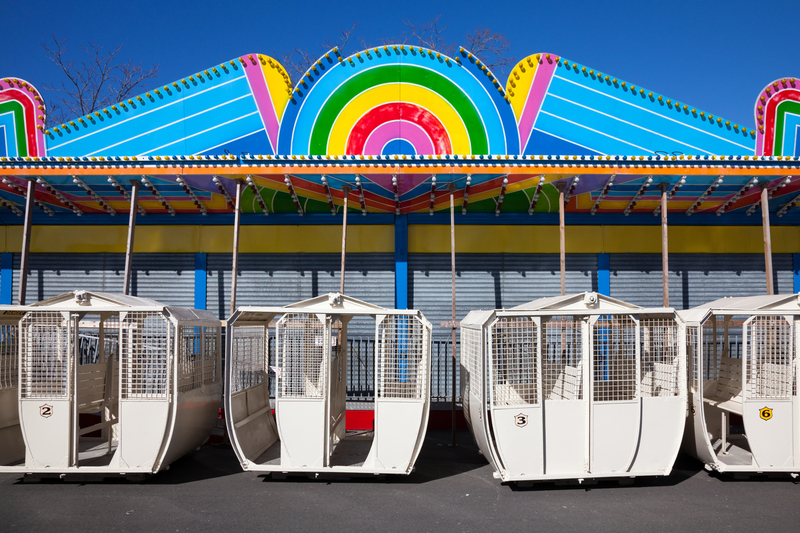 The annual event of reinstalling the cars is often regarded as the first sign of Spring in Coney Island. 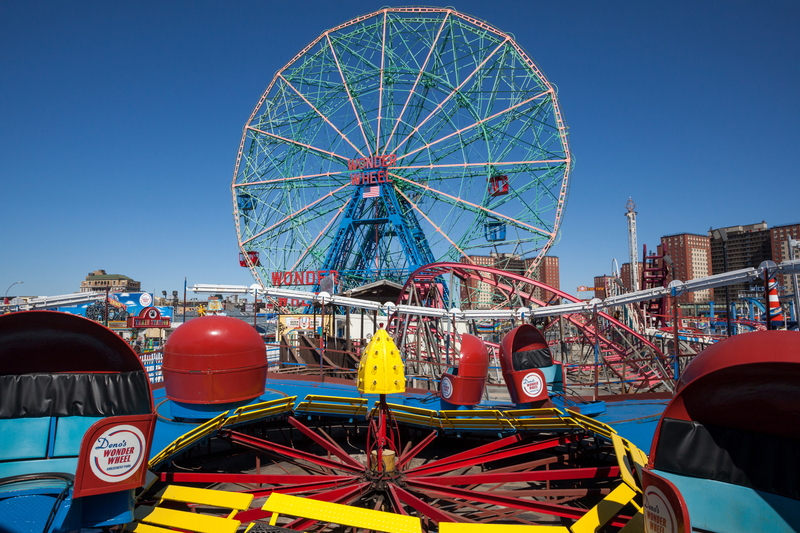 The weather, however, was anything but Spring-like, with howling winds off the Atlantic and a jet-engine-like kerosene heater wheeled out to warm not only the crew but the grease necessary to install the Wonder Wheel’s cars back on its tracks, first the red and blue swinging cars and then the stationary white. 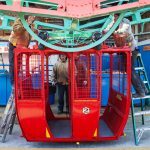 In the top photo, the cars are lined up for installation. 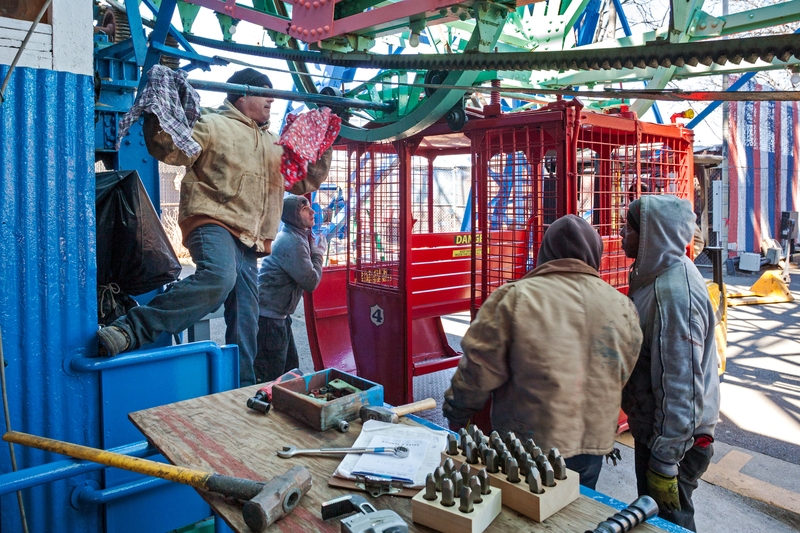 They are then inched into the depression underneath the ride and readied for alignment. 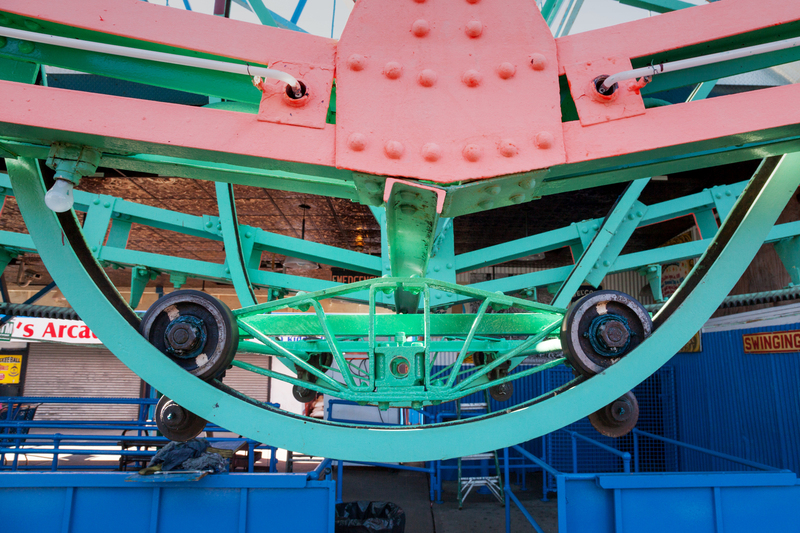 The massive wheel is then inched back and forth to achieve the proper alignment for the car to be attached. 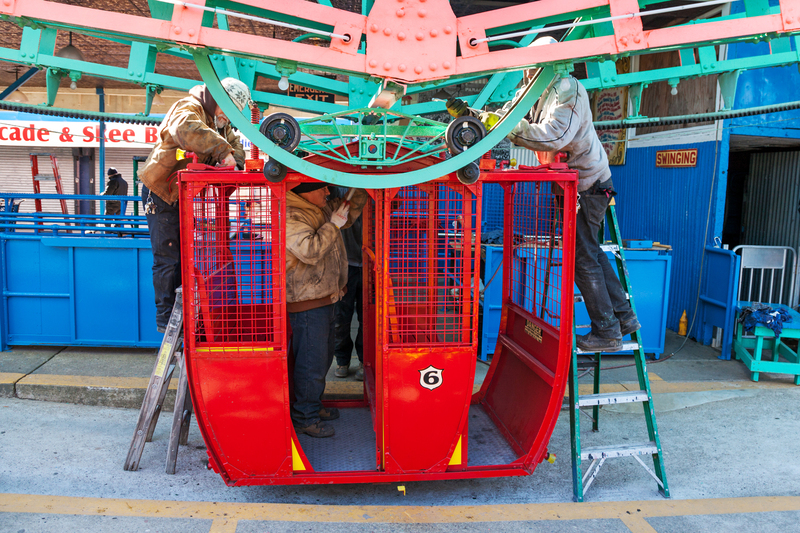 The center hole (seen in the top photo) is where a long rod is inserted to attach the car. 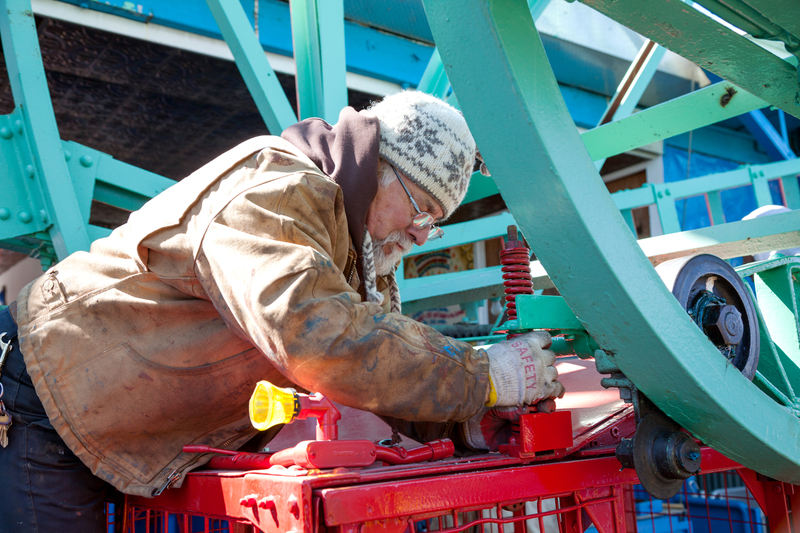 Next, workers push the car and the rod to achieve alignment, and the rod is the hammered into position. 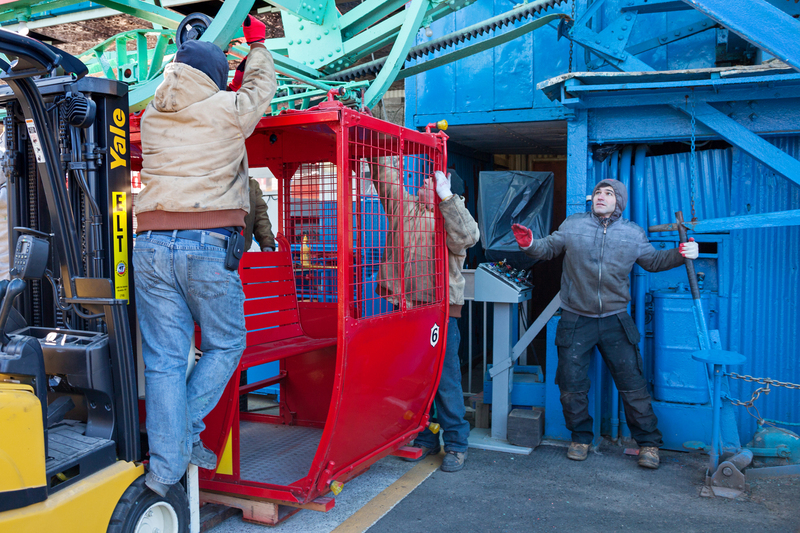 Above, the cars are further fixed into place. 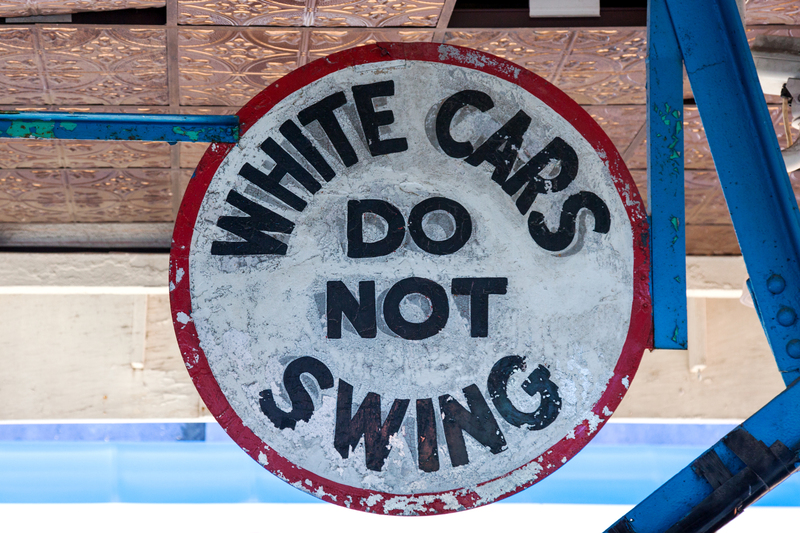 The whole process is then repeated with a blue car. 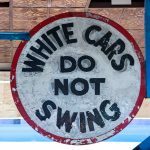 The stationary white cars are the last to be installed. 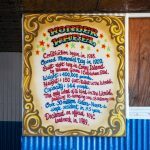 Deno Vourderis sadly passed away in 1994, but his sons and their extended family, continue to operate the Wonder Wheel and the entire amusement park. 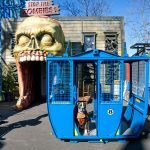 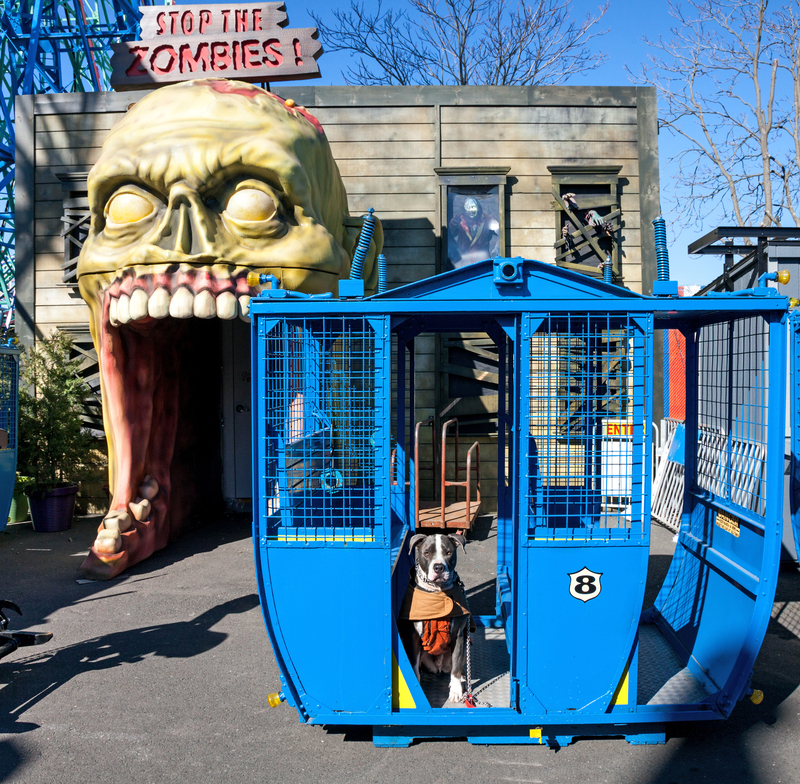 Today, the Deno’s Wonder Wheel Amusement Park has 16 kiddie rides to choose from and five unique adult rides, many of which are family-friendly, including the world-famous Deno’s Wonder Wheel, Spook-A-Rama, Bumper Cars, Thunderbolt, and Stop The Zombies. 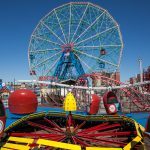 Over 200,000 people of all ages ride the Wonder Wheel every year. 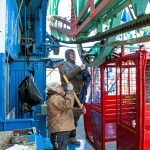 This year, the park officially opens with the Blessing of The Rides and Ribbon Cutting Ceremony at 10:30 am on Sunday, April 14th. 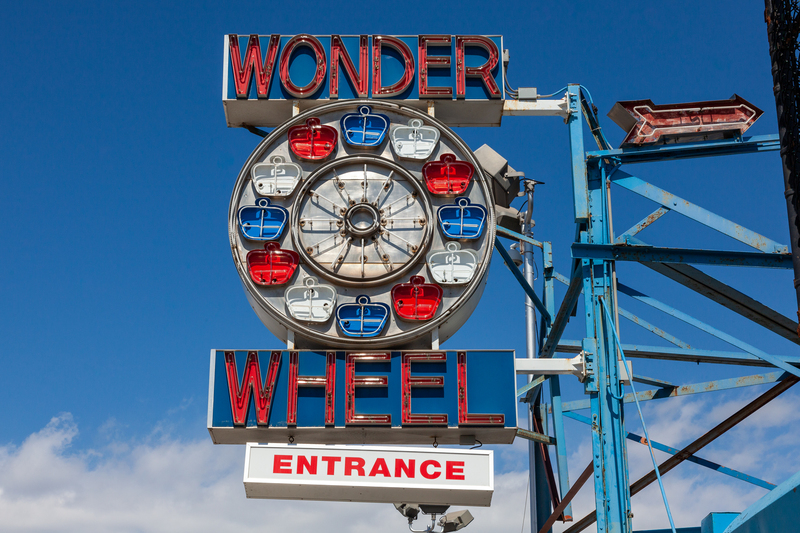 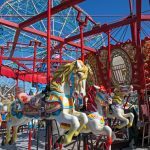 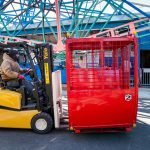 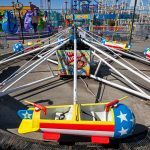 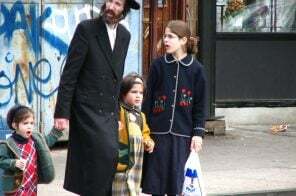 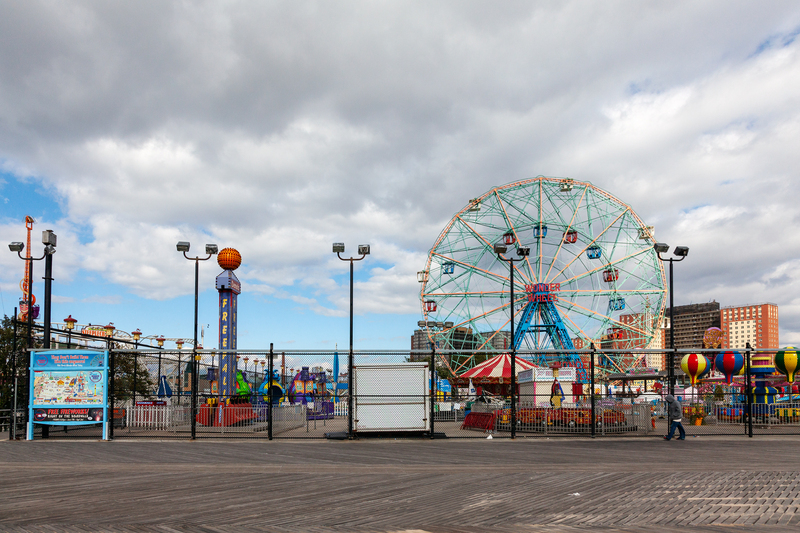 Each year, the Vourderis family works with community organizations and this year, following the blessing of the rides, 300 children from Coney Islands “Salt N Sea Mission” will receive free rides at the Deno’s Wonder Wheel Amusement Park. 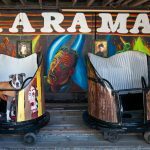 All photos © James and Karla Murray.